In Kenya, China is everywhere. And with Mandarin schools and massive infrastructure projects, China’s trying to grow its “soft power” throughout Africa. But can China convince Africans to love it? I share my insights in this feature by Quartz News. 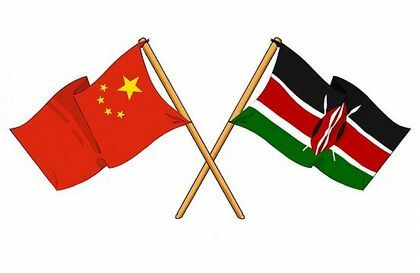 This entry was posted in Africa, Development economics, Economics, Kenya, Political Economy and tagged China, Sino-African relations. 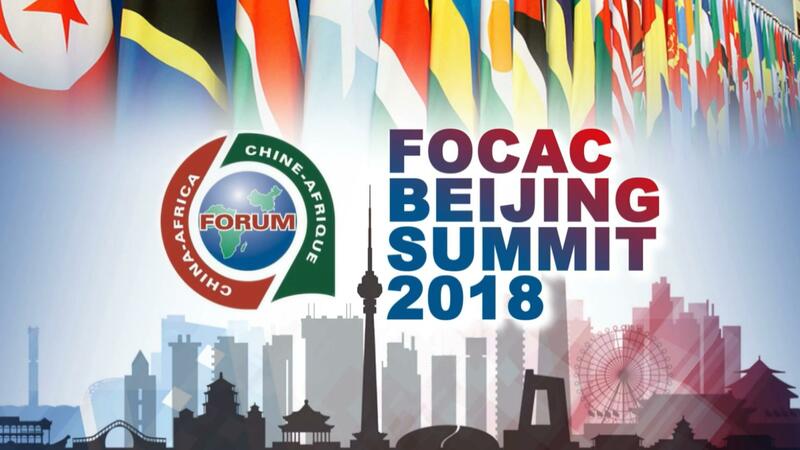 In early September, African Heads of State and Dignitaries will gather in China for the Forum on China Africa Cooperation (FOCAC). Inaugurated in 2006, FOCAC has become a symbol of the strengthening ties between China and Africa. However, it should be asked how Sino-African relations got here in the first place. Given that China is a relative new comer in Africa in terms of sustained engagement, how did China get so big in Africa so quickly? There are three factors that have informed the rise of China in Africa. The first is the lack of a negative legacy with the continent. Europe and the USA have a fraught history with Africa. The combination of slavery, colonialism, the post-independent era and structural adjustment programs have fundamentally challenged the legitimacy of Euro American engagement with the continent. China doesn’t have this baggage. In effect, China came to Africa with a clean slate with no history of exploitation, savagery or utilitarian tendencies with Africa. This, in itself, gave China an easy way into Africa. Secondly, China is not prescriptive in its interaction with Africa and African governments. Often Europe and North America leave the impression that Africans must listen to them if the continent is to ever to ‘develop’. Europe and North American ‘experts’ on Africa both on the continent and abroad have very clear opinions on what Africa ‘needs to do’ to get out of poverty. China does not have this attitude. Despite the fact China has pulled millions out of poverty and become the second largest economy in the world, the Chinese are remarkably humble. In my interactions with both government and private sector from China, there is a humility in the approach they have with Africa. They understand that a unique combination of factors allowed China to become economically dominant fairly quickly, and thus will not push ‘Model China’ on Africa. This is because they seem to appreciate that there are complexities in Africa that may render many elements of China’s path, ineffective in Africa. China could have easily marched into Africa barking orders about what African governments need to do to catch up, but they have not. African governments appreciate this humility and almost feel honoured by it. Finally, China doesn’t lecture Africa. African governments have grown weary of lectures about governance, corruption, human rights, autocracy etc. from Europe and North America. There still seems to be a sense in the Global North that they have the right to meddle in what African governments view as the business of African governments. In the same way African governments do not meddle in how Europe and North America run themselves, they wonder why EuroAmerica continues to feel the need to lecture them on how to run their countries. This is not to say that the points raised by the Global North aren’t relevant, it is simply that African governments are tired of what can come across as patronising downtalk. Again, China does not behave in this manner. China accords African governments the dignity to run their countries without interference from China. These three factors constitute the triple threat that made the rise of China in Africa so auspicious and expedient. It will be interesting to see how the interaction between China and Africa evolves as the ties between the two entities develop and invariably become more complex. This entry was posted in Africa, Development economics, Economics, Political Economy, Uncategorized and tagged Africa, China, EuroAmerica. Trade tensions between the two largest economies in the world have made global headlines as the trade war will have implications not only for China and the United States (US), but other countries well. In terms of the background of the trade war, on June 15, Trump declared that the US would impose a 25 percent tariff on USD 50 billion of Chinese exports; USD 34 billion would start July 6, with a further USD 16 billion to begin at a later date. China imposed retaliatory tariffs for the same amount. A few days later, the US stated it would impose additional 10 percent tariffs on another USD 200 billion worth of Chinese imports if China retaliated against the U.S. tariffs. China retaliated almost immediately with its own tariffs on USD 50 billion of US goods. Keeping track of the back and forth of tariff imposition between the US and China is a task on its own, but what is more important is unpacking how these trade tensions will affect Africa. There are three implications of the USA-China trade war of which Africa should be cognisant. Firstly, the imposition of tariffs between two lucrative markets in the world may well encourage both countries to diversify their export markets away from each other. Africa is one of the fastest growing markets in the world, and the potential loss of income from both new tariffs as well as ‘new’ non-tariff barriers that will likely appear, will provide impetus for both China and the USA to push deeper into African markets. Secondly, the trade feud will deepen the resolve of the Chinese government to diversify away from export to consumption-driven growth. While the export-driven economic development model has reaped dividends for China, it has also left it vulnerable to this precise scenario. Thus, expect added commitment from the Chinese government to shift to primarily consumption-driven growth with greater urgency. This will affect Africa in that China will likely continue to offshore its manufacturing capacity to other countries, including those on the continent. Thus, the third implication of the US-China trade spat is that it may provide added impetus for increasing manufacturing investment and activity into Africa, particularly by the Chinese private sector which is already on this trajectory. A 2017 McKinsey report indicated that about 10,000 Chinese-owned firms operate in Africa, of which about 90 percent are privately owned. 31 percent of these firms are in manufacturing and already handle about 12 percent of industrial production in Africa with annual revenues of about USD 60 billion. Further, expect Chinese private sector to leverage AGOA and tariff hop into the US markets through Africa. In doing so, they will secure access to the US, access which would be much more difficult if were they domiciled in China. This entry was posted in Africa, Development economics, Economics, International Finance and tagged China, Trade War, USA. I was part of a panel on Talk Africa of CGTN, discussing how Africa can build manufacturing capacity and scale value addition. This entry was posted in Africa, Development economics, Economics, Political Economy, Politics and tagged China, manufacturing, Value addition.